Lower price does not mean lower quality when you buy a Winco. The standard Care Cliner comes with all the superior features you might find on higher-priced clinical chairs. 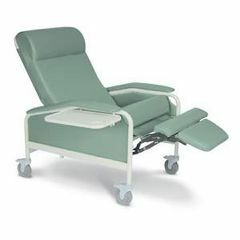 It's no wonder Winco Care Cliners are among the bestselling clinical chairs on the market today.